Shorts aren't just for summer! Touch up on your warm weather wardrobe and be prepared for the heat year round. Addision might look textured but actually feels smooth and is easy to care for. Its side buckles define and draw attention to your waistline while its functional pockets allow for safe-keeping of your necessities. 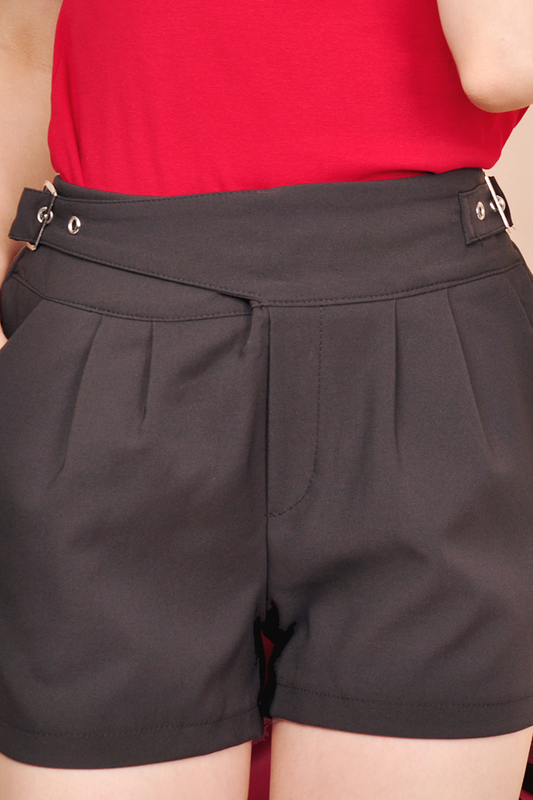 We also love the fact that Elastic waist is so comfortable even after extended wear. This product is also available in Mauve, Mocha.